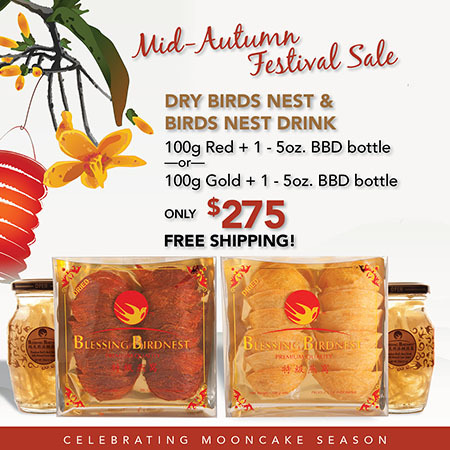 ALL DRY PRODUCT TO THE CONTINENTAL USA ON EVERY ORDER! 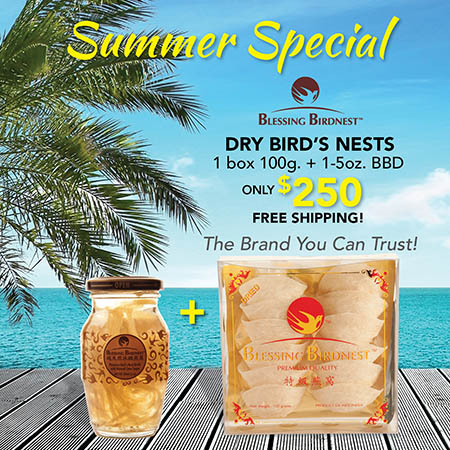 The traditional heritage food of bird’s nest soup is rich in nutrients to aid in digestion, cleanse your lungs, improve awareness and provide an overall boost to the immune system. 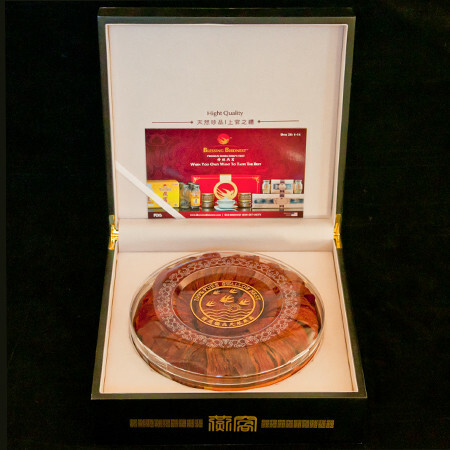 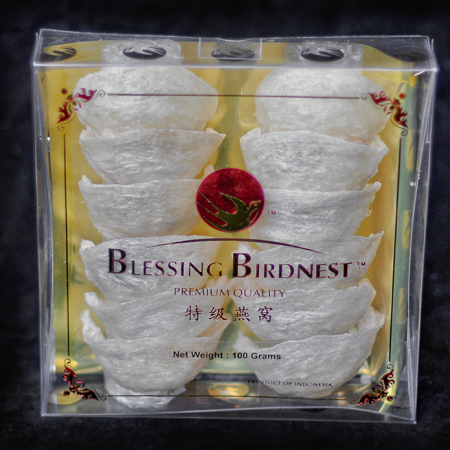 With Blessing Birdnest dry nests, you can cook your own soup right at home. 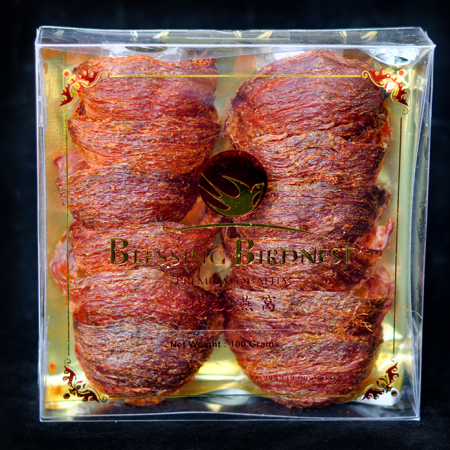 If you don’t have a go-to recipe, no problem! 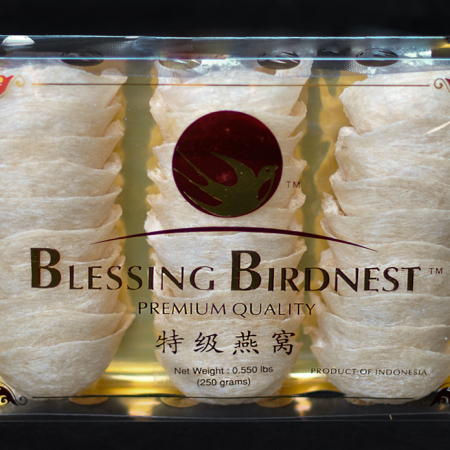 Our recipes page offers simple instructions for preparing delicious bird’s nest soups and pastries. 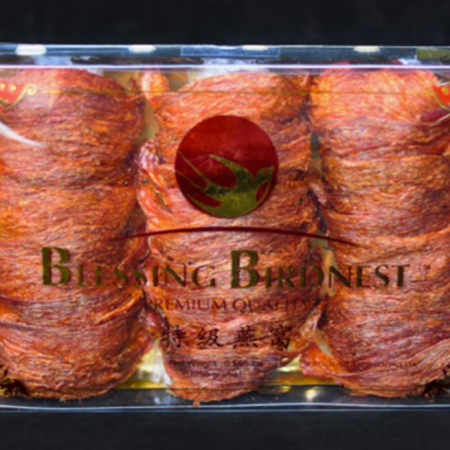 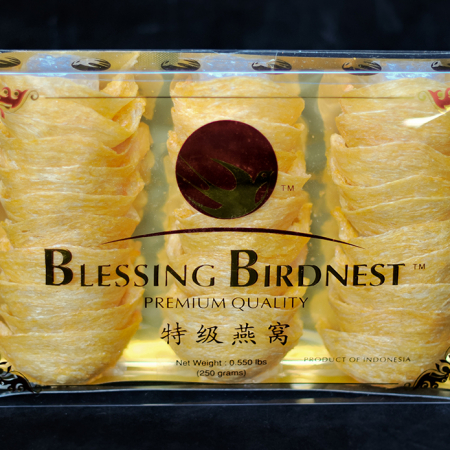 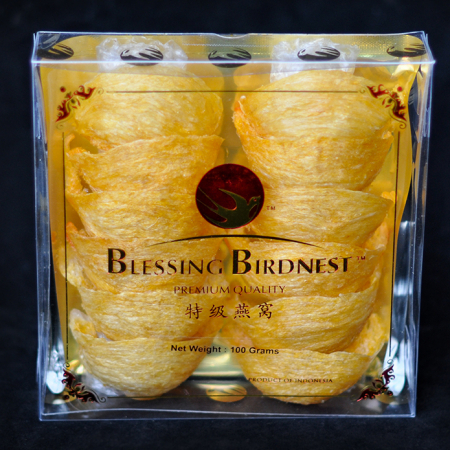 As always, Blessing Birdnest dry products are 100% natural and contain zero chemicals or preservatives. 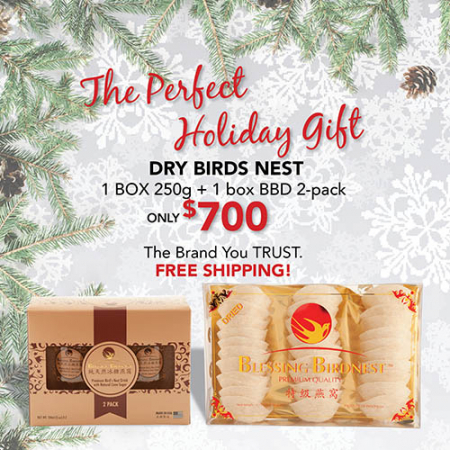 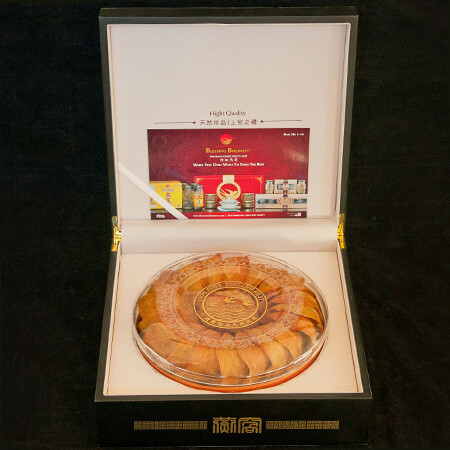 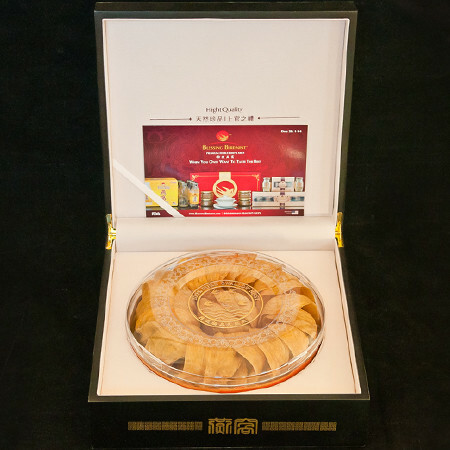 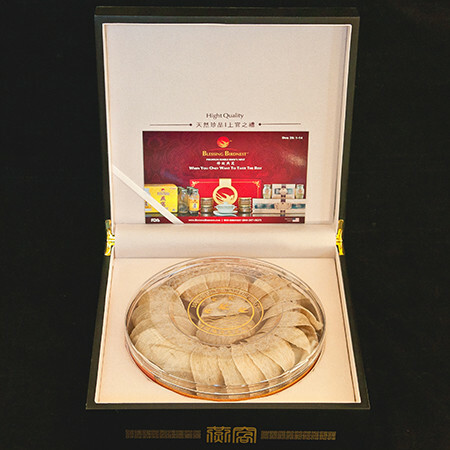 SUPER quality nests are larger than AAA, thus there are fewer nests per box.